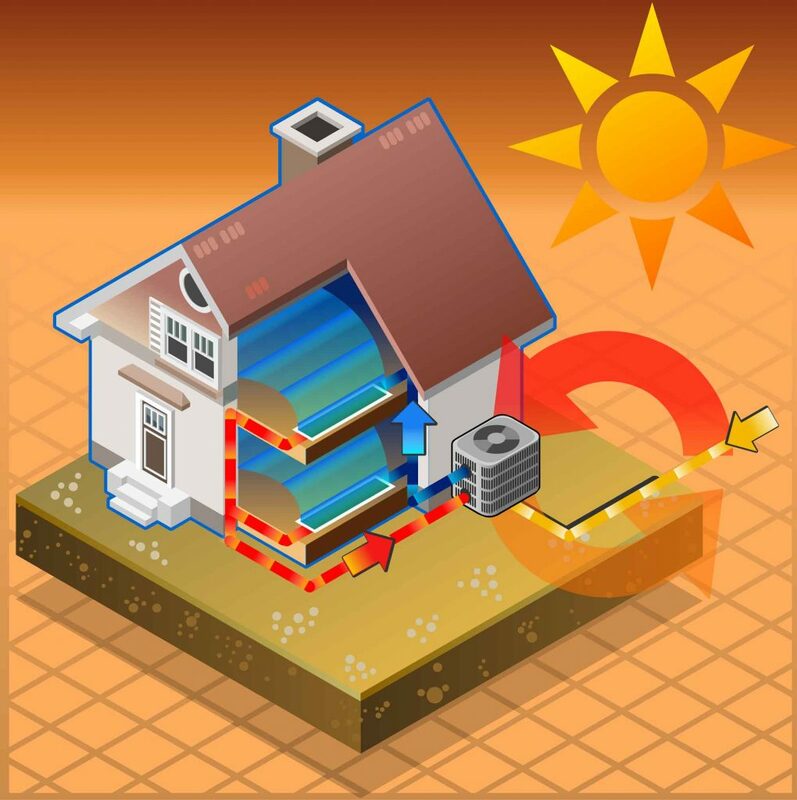 Air source heat pumps absorb heat from the outside air which is used to heat your home. Heat pumps deliver heat at lower temperatures over much longer periods. An air-to-water system distributes heat via your central heating system. Heat pumps work much more efficiently at a lower temperature than a standard boiler system would. This makes them more suitable for underfloor heating systems or larger radiators, which give out heat at lower temperatures over longer periods of time.